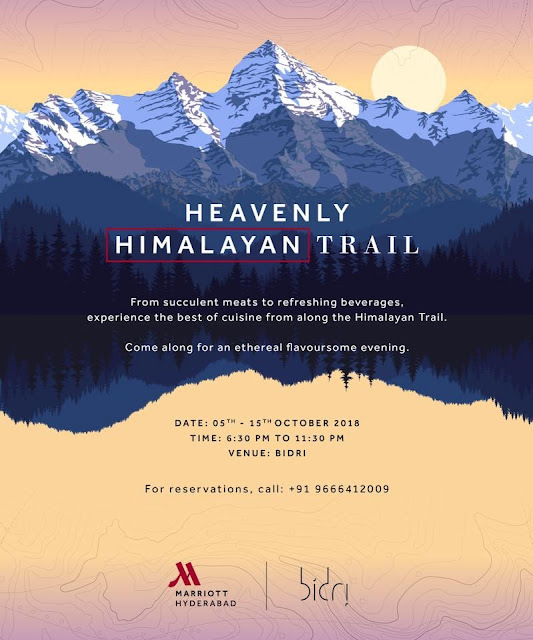 “Heavenly Himalayan Trail” at Bidri, The Marriott Hyderabad makes a significant departure from this. 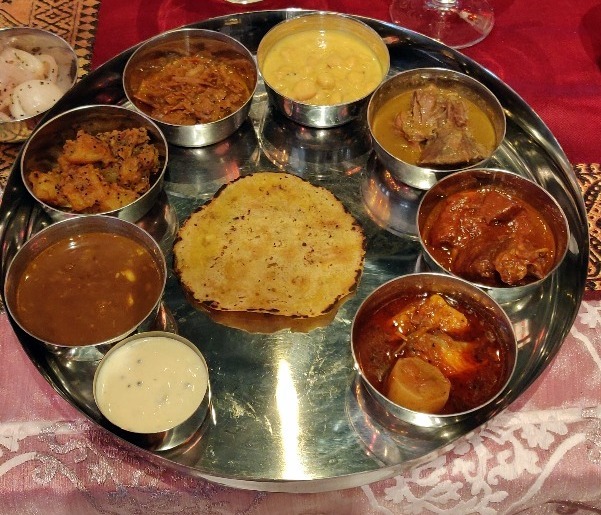 The focus here is the food from the Himalayas mainly the states of Kashmir, Himachal and Uttarakhand. Chef Pawan Manhas of Bidri is a Punjabi from Himachal Pradesh and has spent a significant amount of time in Jammu and Uttarakhand. 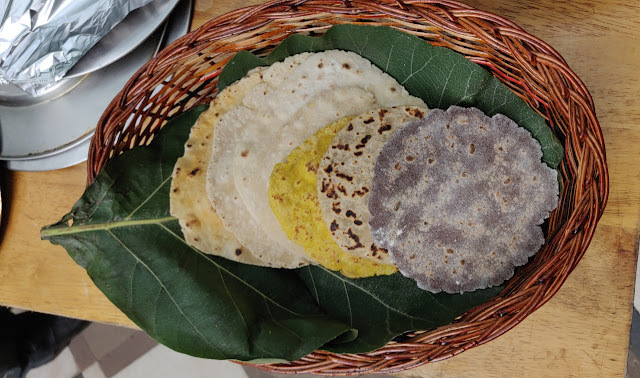 Recently, he travelled back there to gain more insights into the Himalayan food and recipes. 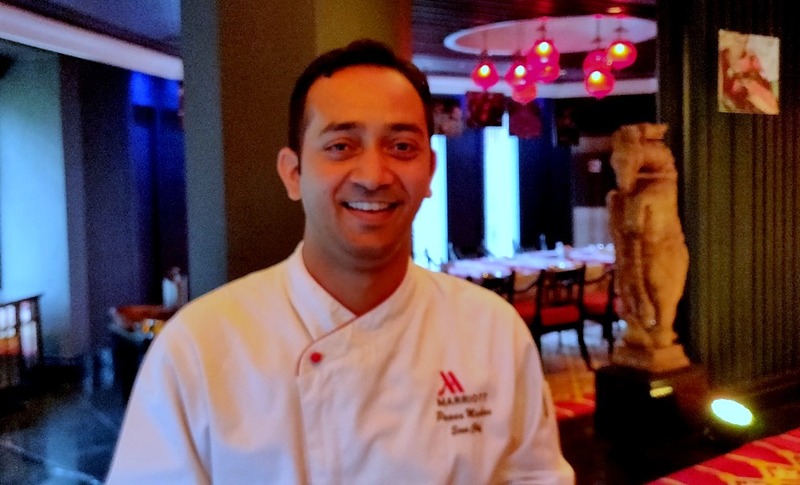 Based on his research he has curated this festival, under the guidance of Executive Chef Aungshuman Chakraborty. 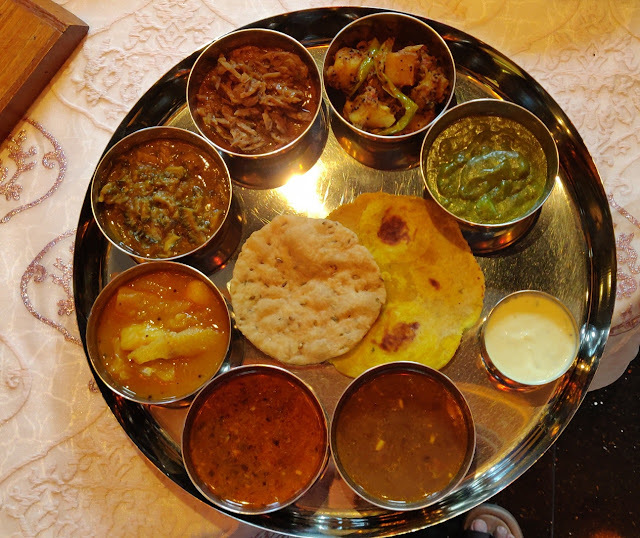 The promotion has both a set thali (both vegetarian and non-vegetarian versions) as well as a-la-carte items. 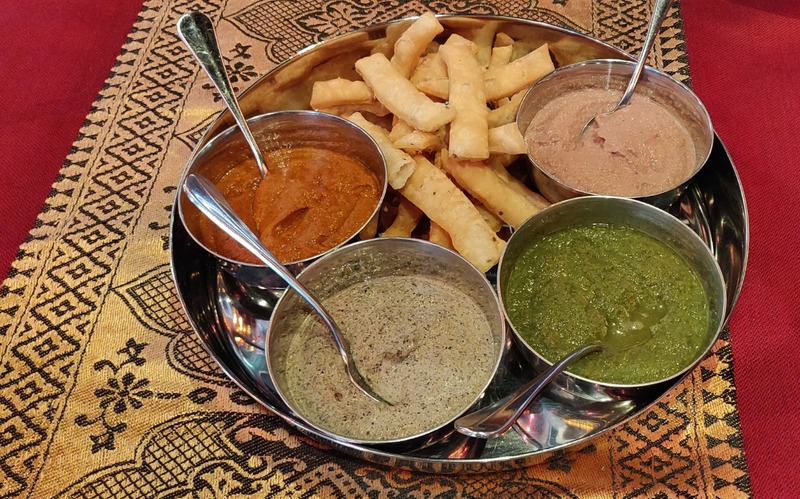 A highlight for me was some of the chutneys served on the table. The Bhanga or bhang chutney from Uttarakhand is very popular in that region, as it keeps the body warm. The tomato and garlic chutney, prepared by roasting overnight and mashed in a pestle tasted delicious too. The participants at the media and influencer meet had the opportunity to try out the items from both types of thalis. Among the starters was Kachaloo Ki Tikki, a preparation from Uttarakhand of sweet potato which was absolutely melt-in-the-mouth. Kashmir had its participation through Kabargah, where mutton ribs are cooked in milk and select spices. The Rada Murga or a dry chicken preparation sautéed in masala tasted good too. The Sekhuwa, a Nepali “kabab” of skewered grilled meat from the area bordering that country was slightly underdone, but I was told by the chef that this is how it is usually prepared. The trouts of Kulu Manali are extremely sought after by any food lover. During my recent trip en route Spiti I had tried out the dish again at Johnson Café, Manali, and it was fresh on my mind. 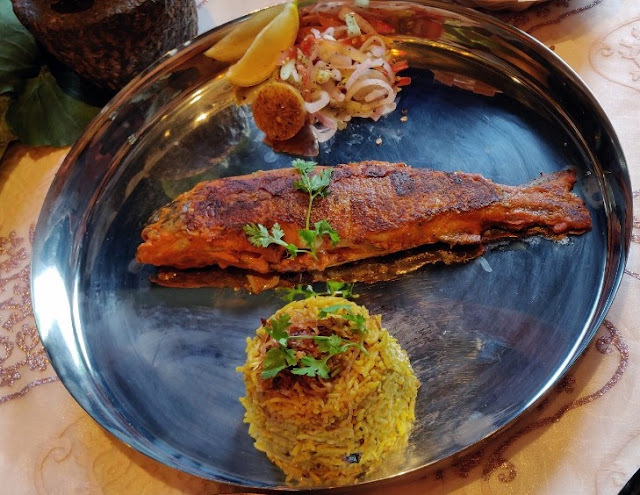 The trout specially brought from Himachal was served pan-fried along with some delicious nimbu ka achar which had crushed coriander seeds and red chillies and rock salt in it. This dish will not be available as part of the set menu, you need to order this separately as a standalone dish. The Khatte Karele cooked in tamarind and spices was praised by many. Then there was Bhatt ki Chudkani, another lentil preparation of locally grown black soybeans. Chana Madra is a well-known preparation of Himachal, the kadi type local chickpea preparation was another dish of note. The dish brought back fond memories of a cook-off we did at another Himalayan pop-up at the same venue couple of years ago. You can read about that here. A dry sabzi of Bhey or lotus stems was also served. The rotis were another highlight of the promotion and included Mandua ki Roti from Uttarakhand. 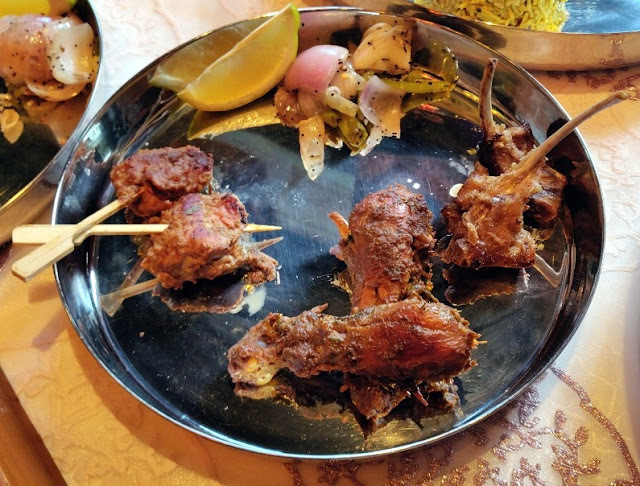 From the non-vegetarian platter, Chaa Gosht, a Himachali preparation of lamb prepared with rice flour, gram flour, yoghurt and spices was a distinctly different dish. 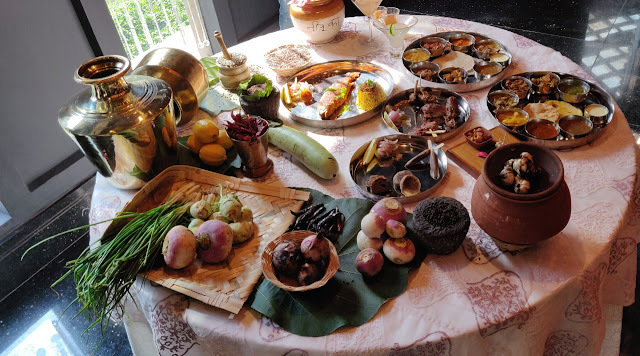 The Alubokhara Qorma, where mutton and the vegetable were cooked together was a more full-bodied dish from Kashmir. My pick in this section was Muji Gaad, a Kashmiri thin curry of fish and radish, which again was suitable for steamed rice. Tudkiya Bath, a flavoured vegetable pulav was also served alongside. The dessert platter had three items, the Kashmiri Shufta which has abundant dry fruits in a sugar syrup. Here paneer cubes were also used. The famous khoya based Bal Mithai from Almora which is coated with sugar balls represented the Kumaon region. Jhangora Ki Kheer was based on a local millet from Uttarakhand. 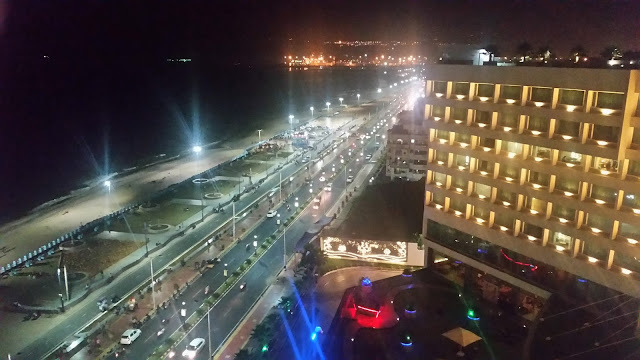 The promotion gives an opportunity to the food lovers in the city to try out some distinct and lesser-known cuisines. I appreciate the efforts which have been put into designing this promotion, which is on till 15th October only for dinner.